What an absolutely charming book! What a sweet way to show how older people can share their lives, past and present, with the younger folk. And it also includes the younger ones enjoying that interaction. This book is one big, delightful tickle! The book is not very long, only 24 pages. But the illustrations are grand and colorful. Mr. McAllistair’s memories are very touching and take the two from his childhood to his grandchildren. 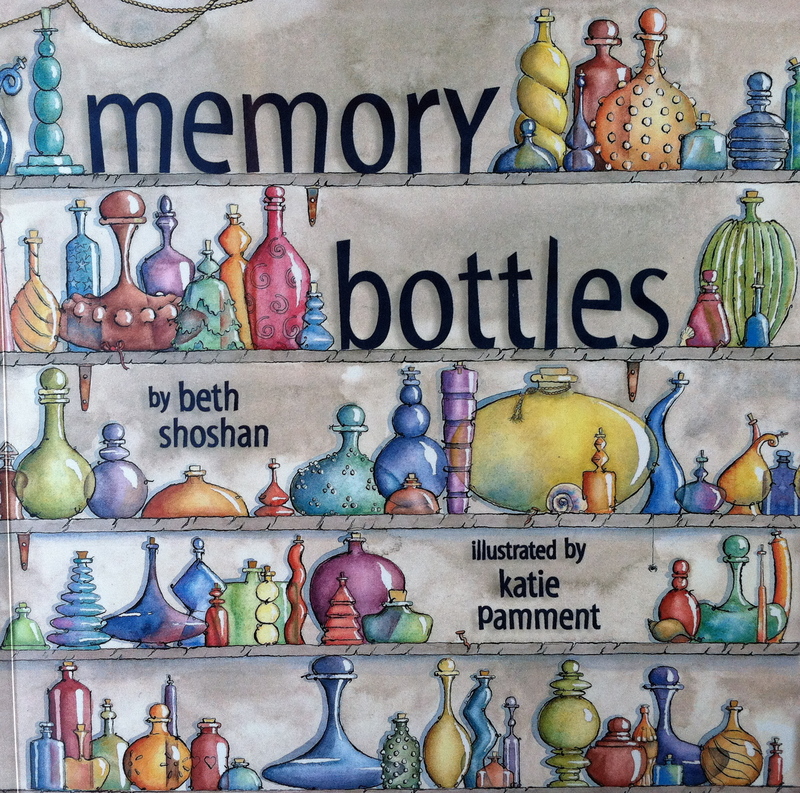 What a great story to share with your “grand” ones and remember your own best memories. 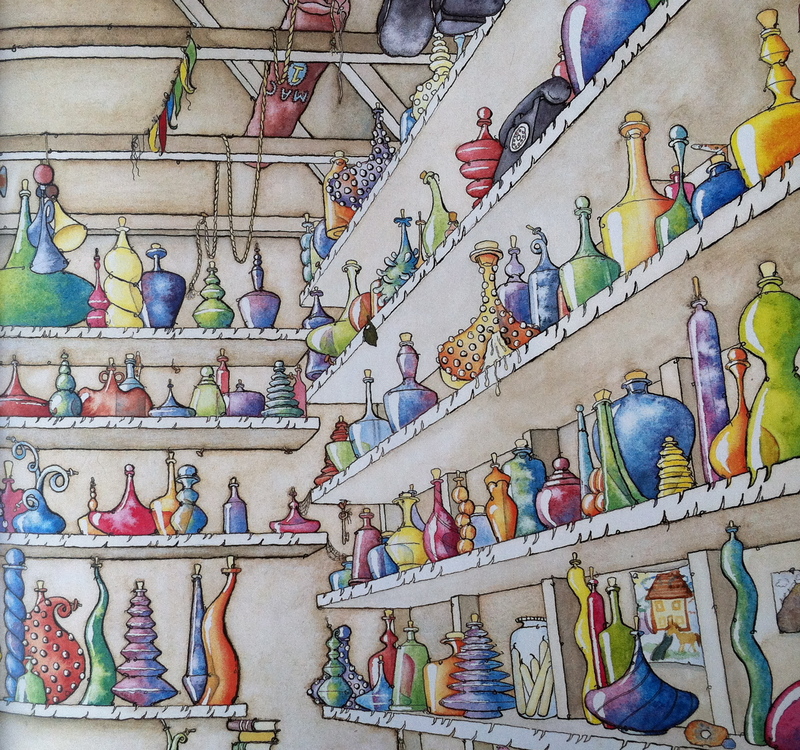 There are many ways to store them, even if we don’t have bottles! 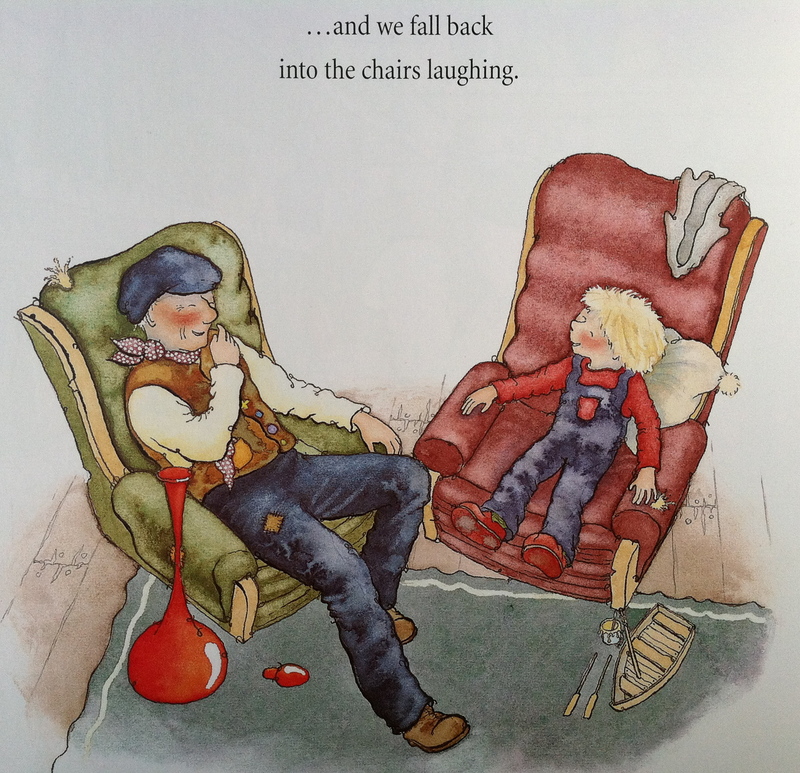 The last page shows Mr. McAllistair and his young friend together in the shed, after a wonderful day of sharing. The young boy says, ” . . . . and we fall back into the chairs laughing.” Isn’t that a fine end to a fine memorable day? This entry was posted in In the Book Nook, In the Village and tagged book, bootle, childhood, friend, memory, remember, today by The Village Granny. Bookmark the permalink. Ya know, I wish we could do that. Pictures and video’s are great, but imagine opening a bottle with a memory in your room…that’d be soooo cool!